American band, N.E.R.D and Barbadian singer, Rihanna‘s Lemon song off N.E.R.D’s fifth studio album, No One Ever Really Dies gets a Drake Remix. 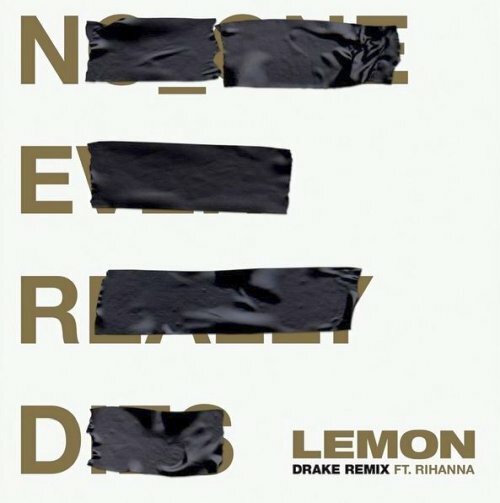 N.E.R.D and Rihanna‘s Lemon Drake remix featuring Canadian rapper, Drake was premiered on Episode 58 of OVO Sound Radio on March 17 with Pharrell Williams as the guest. Written by Pharrell Williams, Robyn Fenty and Aubrey Graham. Produced by Williams and Kuk Harrell. N.E.R.D’s fifth studio album, No One Ever Really Dies was released on December 15, 2017 through i am OTHER and Columbia Records.